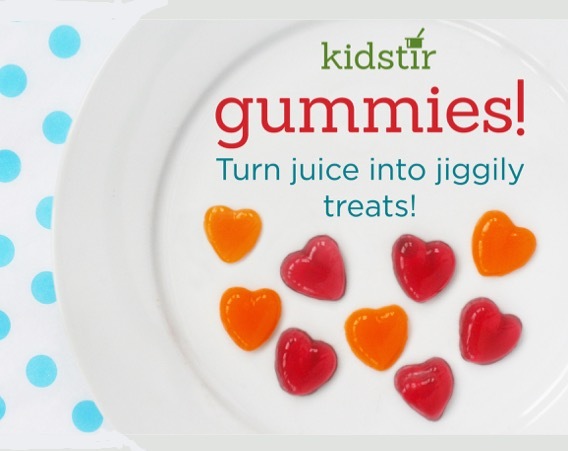 Kids Healthy Yummy Gummies - No Sugar! With a little imagination, your kids might just think these are real gummy candies. They’re healthier than the sweet stuff—just pure fruit juice and unflavored gelatin (and no added sugar!). 1. Measure 1 cup of juice. Pour 2/3 of the cup into the cooking pot. Leave 1/3 cup in the measuring cup and sprinkle it with the unflavored gelatin and let it sit. 2. Meanwhile, a grown-up can help heat the juice until it starts to boil. Carefully pour the hot juice over the gelatin. 3. Stir for about 5 minutes, or until the gelatin dissolves. 4. Pour it into the candy molds and/or ice cube trays (work in the sink in case there are spills!). 5. Refrigerate until the gummies set, about 5 hours. Run the molds under hot water and slip out the shapes. Eat right away or cover and store in the fridge for up to a week.